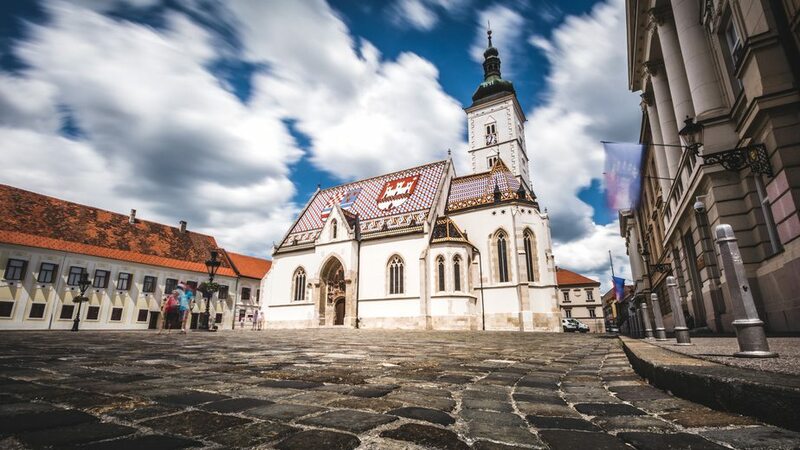 The history of Zagreb stretches as far back as 1094. At that time, two Hungarian settlements in the area emerged: Kaptol and Gradec. In 1242, both settlements were destroyed by Mongols. Rebuilt, Kaptop and Gradec underwent a period of bitter rivalry but were finally united – somewhat unwillingly – against an advance by the Turks. The name Zagreb first emerged in the 16th century to describe the two settlements. At the same time, the Sabor (the Croatian parliament) was also first established. It was in 1557 that Zagreb was first mentioned as a captial; in 1621 the city was picked to become the seat of the Croatian viceroys. Due to misfortune in the 17th and 18th centuries down to (amongst other things) plague and fire, the parliament was moved to Varazdin. But in the 19th century, Zagreb once again rose to prominence. A number of buildings and institutions of cultural significance were built, including the University in 1874 and the national theatre in 1890. Railway lines were also constructed – prompting significant expansion in the Donji Grad (Lower Town) – and gasworks and waterworks were also built around this time. In the early part of the 20th century, Zagreb grew even more quickly. A number of residential neighbourhoods emerged and expanded, which saw the population of Zagreb increase by 70% during the 1920s. The city grew further after World War II when new areas such as Novi Zagreb (literally ‘New Zagreb’) were created. An industrial area was also established in 1949 and Zagreb’s Pleso Airport opened in 1962. During the time of former Yugoslavia, Zagreb was an important city in the country. By population, it was the second largest in Yugoslavia (behind Belgrade) and was considered the economic centre of the country. In 1991, when Croatia declared independence, the city became capital of Croatia. Although it was hit a few times during the resulting war, the city emerged relatively unscathed and there’s no lingering evidence. These days, Zagreb is a bustling city with many sights, museums, galleries, bars and restaurants. And not forgetting the all important “cafe society” – Zagreb is home to many a cafe which almost always seem to be entirely full with locals! The city is well worth a visit, whether on a city break or as part of a longer holiday combined with Croatia’s coastal delights.